One aspect that distinguishes Europe from every other continent is the ease of traveling from one country to the next. Unlike South America or Africa (which have long border-crossing queues), one can cross European borders in a matter of minutes. 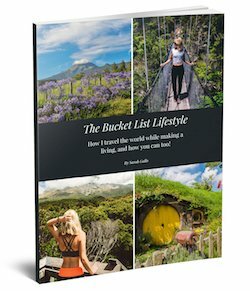 Rather than hitchhiking around as many tend to do (this is very common in Europe), I decided that it would be more time-efficient to rent a car. With a car, not only can you see more places, but you save time; there’s no need to go by any else’s schedule or pace. Proximity to our previous location (Slovenia). Reliability and availability of a local car rental company; when given the choice, I always prefer to support local companies over big conglomerates. 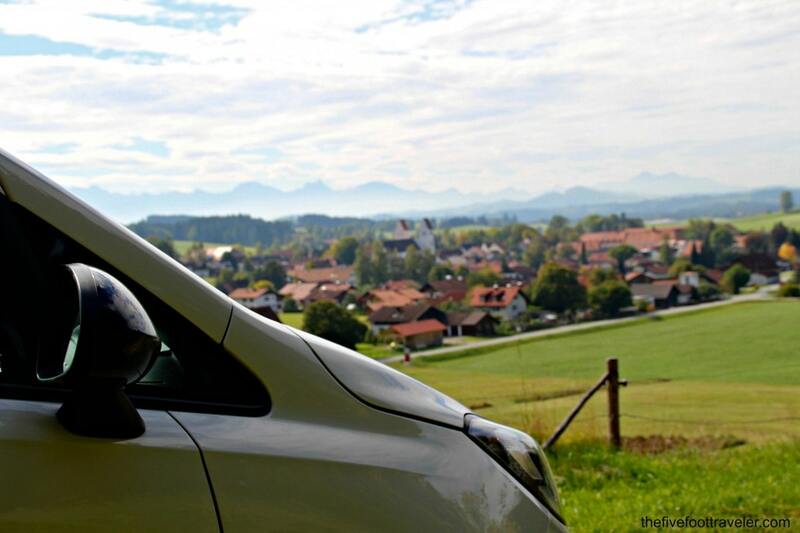 Once we discovered CARO Car Rentals, we decided to start and end our road trip in Munich, Germany. CARO had an ample supply of cars at competitive prices, and was based in Germany. Perfect. When we began going through the motions of renting the car with CARO, the process was seamless. The entire staff was friendly, helpful, and efficient. In a matter of minutes, our car was prepared and we were ready to go. 5 FT Tip: Sometimes it’s tricky to pick up a car right in the city center (like our experience in Tirana), so I was pleased to discover that CARO’s office was just outside of the city center and only a five minute walk from the local metro stop. With the freedom of a car, we journeyed through five countries in a matter of a week. 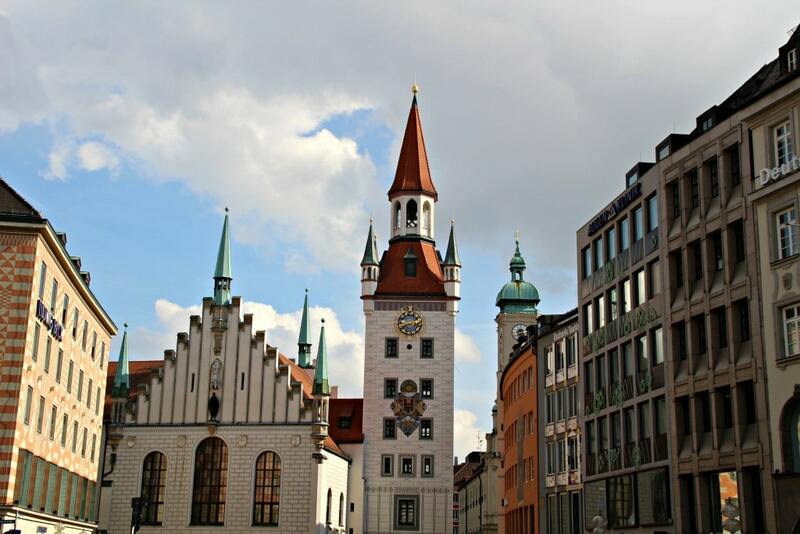 Munich is a city with a rich history that I was extremely eager to explore. It feels very traditional, unlike its counterpart Berlin, and the culture in Munich still reigns strong. Our visit unintentionally ended up coinciding with Oktoberfest, so there was an overwhelming amount of iconic garb – Lederhosens and Dirndls. Must See: Odeonsplatz, Maximilianeum, Hofbrauhaus, Englischer Garten, Viktualienmarkt, Marienplatz, Oktoberfest. On our way to Neuschwanstein Castle, we pulled over at the UNESCO site of the Pilgrimage Church of Wies. 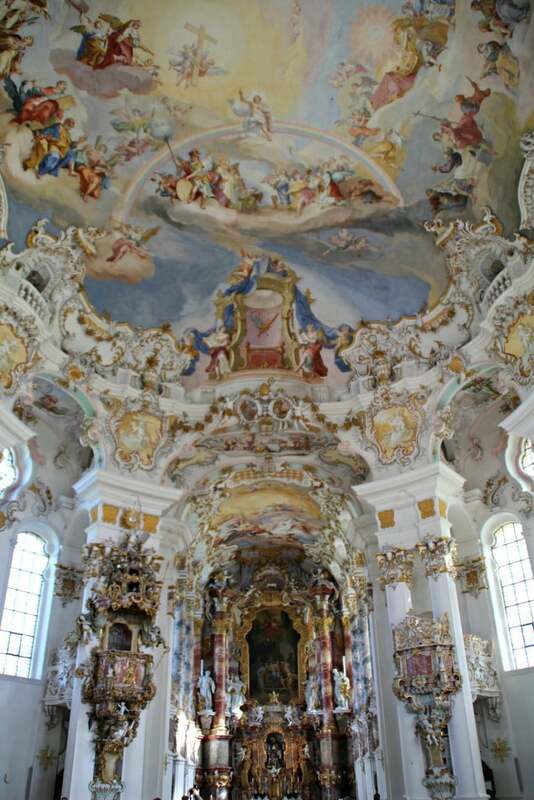 Built in 1745, this church is incredibly well preserved and colorfully ornate inside. We decided to grab breakfast nearby and discovered that most people drink beer with breakfast — we were the only people not drinking at 10am! Anyone on Instagram has probably seen a photo of this castle at one point or another. I sure have. 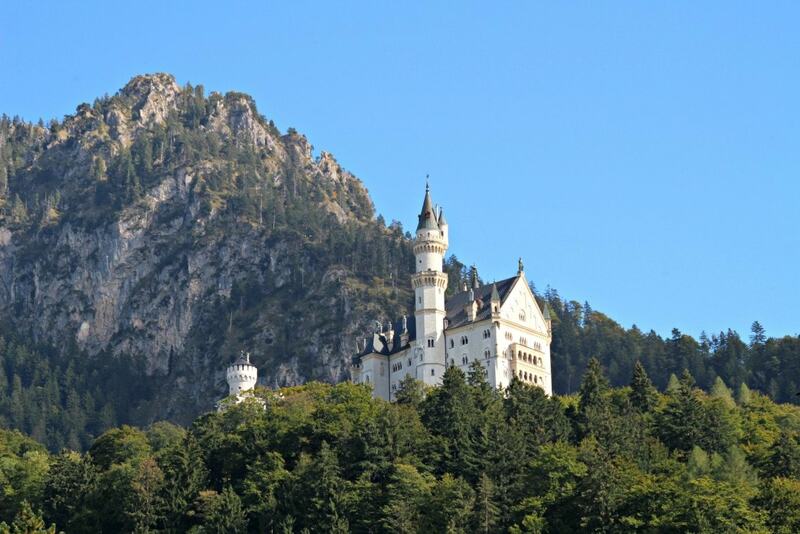 Neuschwanstein is said to be the inspiration for Disneyland’s Sleeping Beauty Castle. Supposedly, it was the fairytale look of this castle that drew Walt Disney to design the Magic Kingdom. Sadly, Queen Mary’s Bridge was under construction while we were there, so we were unable to get the iconic view of the castle that I was so looking forward to seeing. We detoured North to visit one of Philip’s friends. 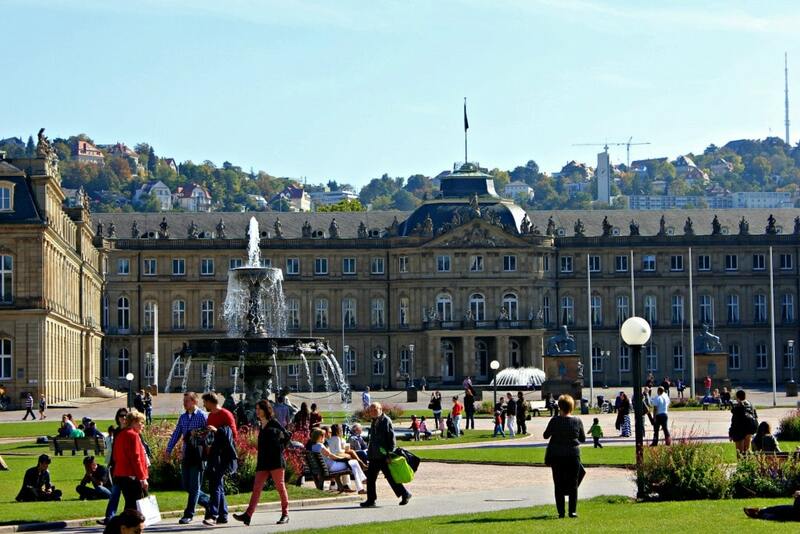 While mostly I used our days in Stuttgart for writing, it served as a great home base to explore Luxembourg and Northeastern France. The perception of Stuttgart is that it’s an industrial city with not much to see. While it may not have the glamour and draw that Berlin and Munich may have, the historic centre was still nice. Stuttgart also has a festival similar to Oktoberfest that is said to be less commercial and more traditional than that of Munich. Must See: Mercedes-Benz Factory, Fernsehturm Stuttgart, Hauptbahnhof, Birkenkopf, Schlossplatz. Since we had access to our car thanks to CARO, we decided that we might as well take advantage and drive to one of the smallest countries in the world: Luxembourg. 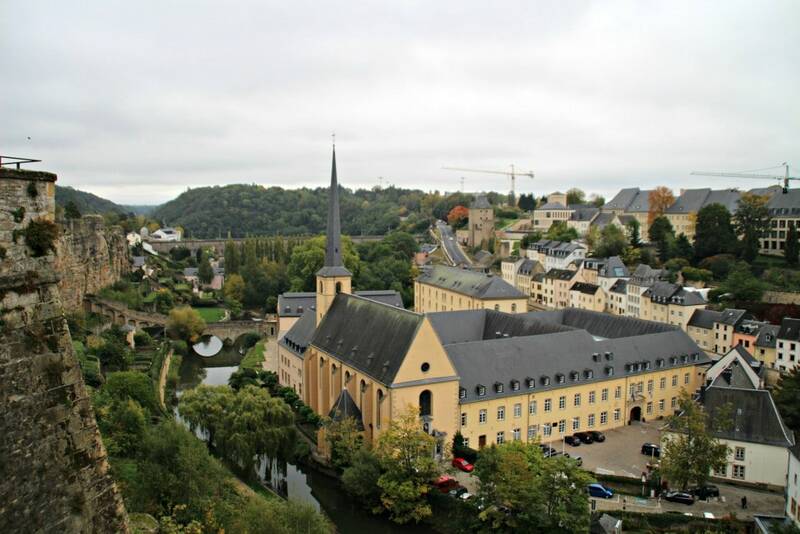 Luxembourg is known for having the second highest per capita GDP, and many banks. On a rainy day, we headed to Luxembourg City to try to get a feel of what this tiny country was all about. Overall, we liked Luxembourg despite its rather unknown status as a tourist destination. 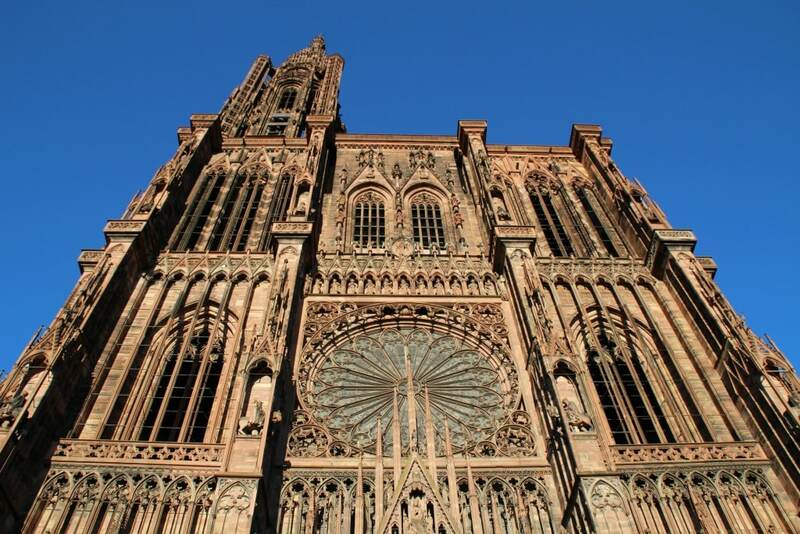 Must See: Gothic Revival Cathedral of Notre Dame, Grand Ducal Palace, Bock Casemates, Place d’Armes, Chemin de la Corniche, Grund. En route back to Stuttgart, we veered into France for a pitstop in Strasbourg. Strasbourg is such a charming little French town that you could easily spend a few days soaking it all in. Very traditional, very French, very lovely. Be sure to try the flammekueche, similar to a pizza, but thinner and topped with creme fraiche, onions, and bacon. Must See: Cathedral Notre Dame, Maison Kammerzell, Petite France. 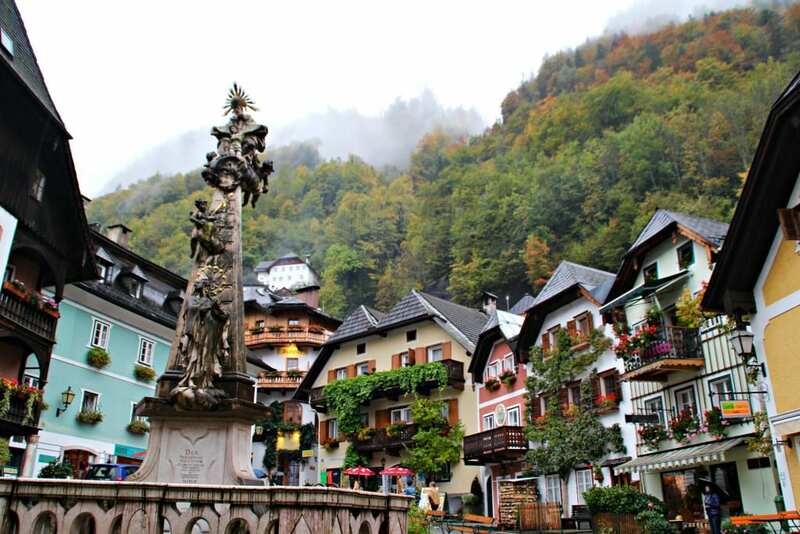 7th Stop: Multiple Towns in Liechtenstein – There are only 11! 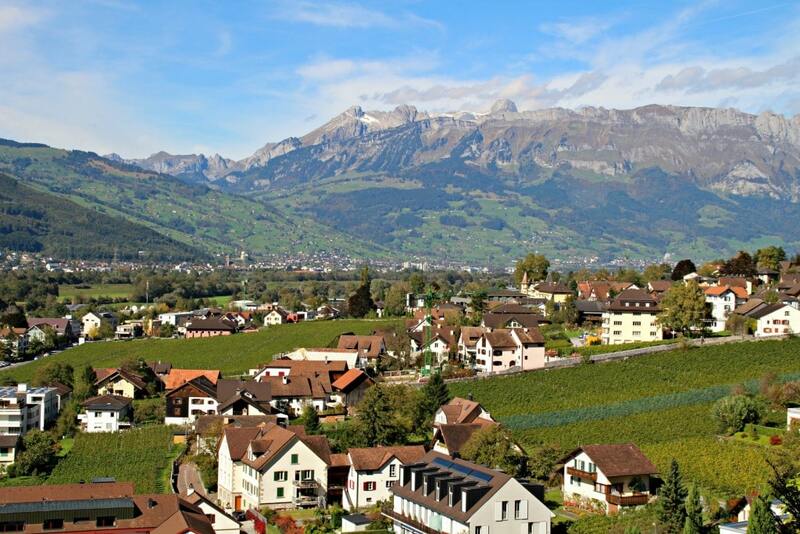 Did you know that Liechtenstein uses the Swiss Franc? We didn’t, but even with the not-so-favourable exchange rate, we still enjoyed ourselves. It’s beauty took me by surprise as so little is known about it. It’s really just like a mini-Switzerland. Must See: Balzers Castle, Schloss Vaduz, Steg, Triesenberg. 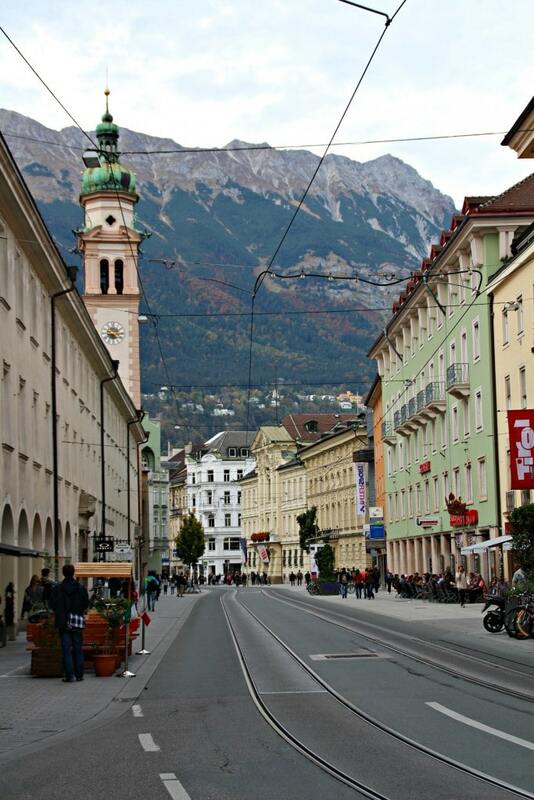 Innsbruck typifies what one would expect of an alpine village — there’s something just so cozy about it. We relaxed at the incredible Grand Hotel Europa, and wandered the town that begs to be explored. Must See: Mariahilf Quarter, Bergiselschanze, Goldenes Dachl, Annasaule, Triumphpforte, Maria-Theresien-Strasse. I was so looking forward to this area of Austria, but sadly it was pouring. While this took away our viewpoints and comfort, the fog-enshrouded town showed a lot of potential. We had an incredible dinner of pumpkin seed crusted chicken drizzled in pumpkin oil that left us wanting more! Must See: Beinhaus, Salt Caves, Ice Caves. We were supposed to continue our trip onwards to Salzburg before returning our CARO Rental Car to Munich, but we were feeling ill and decided to continue straight back to the comfort of our friend’s home in Munich to rest before continuing our journey. 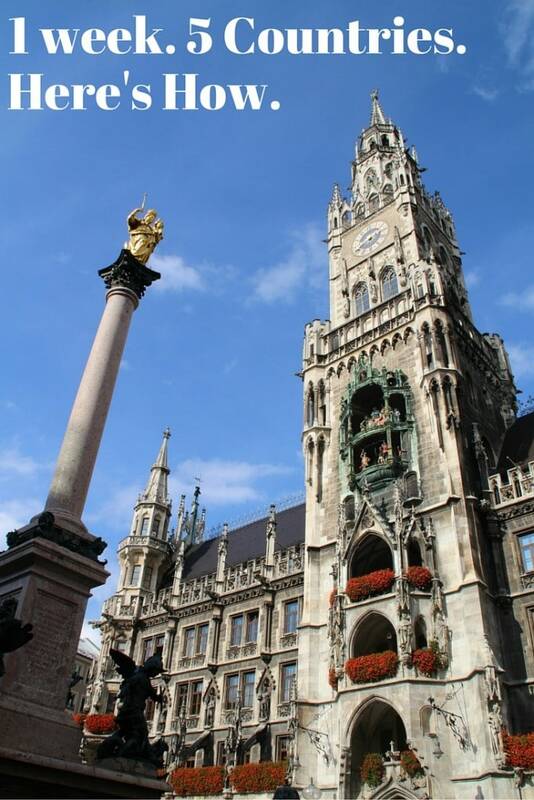 I cannot recommend enough a circular road trip around Munich and the surrounding countries with the use of CARO. Our Opel Corsa drove beautifully. On the Autobahn, the car handled speed with ease, reaching over 100mph (160 kph) without us even noticing. The Opel Corsa that CARO provided us proved to be a worthy vehicle and had been well maintained; we encountered no problems with the car. Seriously, if you’re near Munich, contact CARO and get on the road! **Special thanks to CARO for kindly offering us a discount on our car rental. As always, all opinions are my own.